If your website is a key marketing tool, it is important that it is kept up-to-date in terms of both design and functionality. With this in mind, we recently evolved the online presence of Swoffers Estate Agents, redesigning and redeveloping their website. 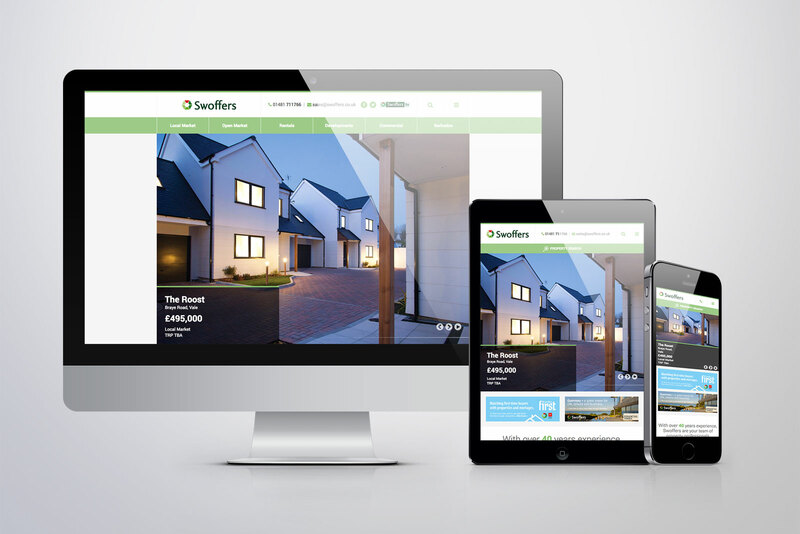 Seamlessly integrated with Swoffers’ in-house property management software, this fully responsive WordPress website has a slick new user interface, effortlessly easy content management, beautifully redesigned page layouts and a host of brand new features. “Everyone today leads very busy lives and as such, it is very important to ensure that website content is as quick and digestible as possible. This was at the forefront of the decision making process when designing the new single property page interface. At one glance, we wanted to ensure that users were able to get a complete overview of a property. As soon as you land on a property page, you can see high resolution photos of the property, key information, the price, TRP and the property pinpointed on an interactive Google Map.